Washington State Patrol officials say that the driver of a semi-truck involved in a rollover accident near Bellingham was arrested for investigation of driving under the influence last week. According to news reports, the semi-truck accident occurred in the northbound lanes of Interstate 5 at approximately 3 p.m. near Bellingham. A semi-truck towing a 53-foot trailer carrying fruit and vegetables was found on its side blocking all northbound lanes. Police said there were no initial reports of injury to anyone involved in the collision. However, a drug recognition expert dispatched to the scene determined that there was reason to believe that the semi-truck driver was under the influence of alcohol or drugs at the time of the crash. There was no additional information regarding the details of the arrest. Semi-truck drivers are held to a very high standard of responsibility when it comes to driving under the influence of alcohol or drugs. For example, the blood alcohol concentration (BAC) limit for commercial vehicle drivers in Washington state is .04 percent, compared with the standard .08 percent limit for drivers of passenger vehicles over the age of 21. Damages in semi-truck accidents are often much more serious than they are in the average motor vehicle collision, as the sheer size and weight of semi-trucks makes them more prone to serious accidents. This extreme difference in size combined with the unpredictable nature of an impaired driver is a recipe for disaster. 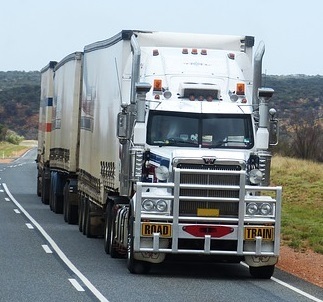 The trucking accident lawyers at Davis Law Group have represented thousands of injured motorists who have to battle against the deep pocketed insurance companies for compensation following a serious collision. Our clients are often surprised to learn how fiercely the trucking companies and their insurers will fight against liability in a personal injury case, even in situations where their own driver was under the influence of alcohol or drugs. It’s important that accident victims do not underestimate trucking and insurance companies if they are injured in a collision. Assuming that the trucking or insurance company will cooperate in good faith can cause victims to let their guard down and make serious mistakes during the negotiations process. 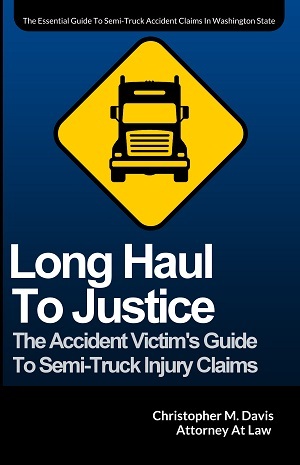 The attorneys at Davis Law Group are here to help you better understand your legal rights after a trucking accident. We work on a contingency fee basis which means there are no obligations or up-front costs to hire us and you owe nothing until we successfully resolve your case. Call our office in Seattle at (206) 727-4000 or use the confidential contact form on this page for a free case review.